A few hot topics come to mind when it comes to greenhouses. In the last year, updates on insect and disease management have moved to the forefront. Mixing sprays for efficacy, pH and EC management, and wood fiber substrates are also popular topics, and the Great Lakes Fruit, Vegetable & Farm Market Expo & Michigan Greenhouse Growers EXPO is recognizing these important issues by offering education sessions specifically geared toward greenhouse growers on these topics and others. Heidi Lindberg, a greenhouse and nursery extension educator at Michigan State University Extension, shares what greenhouse growers can expect to learn at this year’s GLEXPO, Dec. 4-6, in Grand Rapids, Michigan. The sessions revolving around technology are also a can’t-miss. The technology boom has reached greenhouse growers as they seek to produce plants with greater efficiency and quality. Greenhouse Gadgets features apps and monitoring tools that are useful to greenhouse growers. Lighting is also changing in ways that enhance the growing environment. Using the correct fixture, bulb type and light color helps optimize growing, and the session about lighting fixtures will inform growers how they can learn to evaluate the lamps on the market in order to choose the best for each production environment. Besides these hot-button issues for the industry, greenhouse growers can explore a trend that has been taking Michigan growers by storm: wood fiber substrates and the continual improvement of managing pH and EC in the greenhouse environment to assure the best quality products. 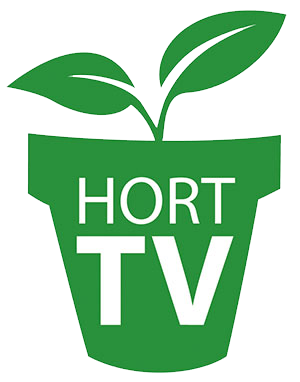 Brian Jackson from North Carolina State and W. Garrett Owen from Michigan State University will discuss pH and EC issues when growing crops in a greenhouse. If greenhouse growers can only attend one day of the show, Lindberg recommended two different days based on the grower’s specific needs. For wholesalers, Dec. 4 would be optimal — sessions will cover pest and disease management, nutrition and an update from Michigan grower-sponsored research trials at Michigan State. For garden centers and resellers, Dec. 5 would be ideal. Bridget Behe will teach two sessions about reaching younger demographics and also gaining them as customers in the garden center. In between her two talks, you will hear about Secrets of Success of retail garden centers from a panel of four garden center owners in Michigan. Lindberg will be speaking about greenhouse energy efficiency on Tuesday, greenhouse trends on Wednesday, and moderating the Michigan garden center retail session. The good news is that this is not an exhaustive list of the education that GLEXPO is bringing to the show this year. The full schedule is available on www.GLEXPO.com.